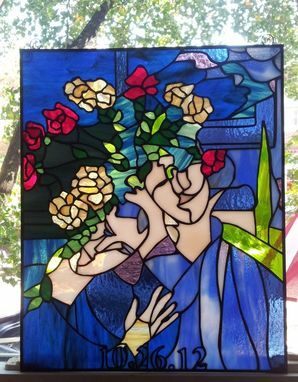 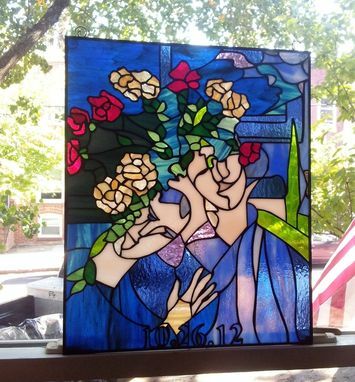 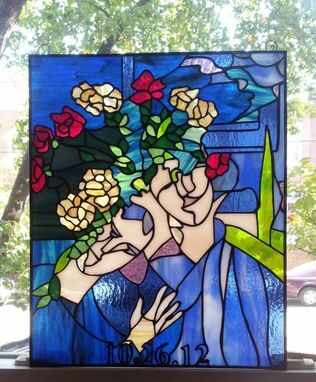 This absolutely gorgeous stained glass panel was created from a Marc Chagall painting that our customer shared with us (last picture). 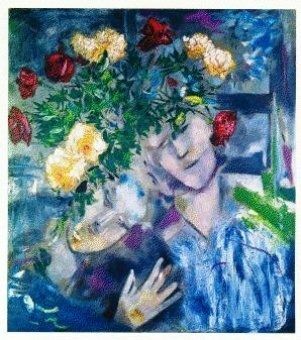 Size is 18" X 24". Regarding glass selection, we tried to match all the glass colors from the painting photo. 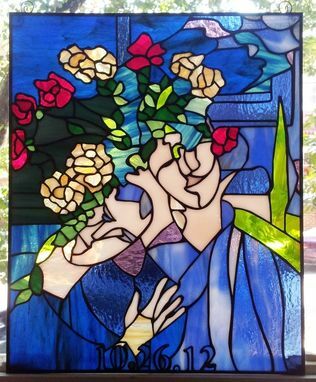 This piece is a perfect example of the versatility that a stained glass has and also shows the way in which the stained glass technique enliven and brighten any picture, design or motif used as a guide for the future piece.